Cara Delevingne Really Doesn't Seem Keen On Modelling, Does She? Cara Delevingne Really Isn’t Keen On Modelling, Is She? She doesn't like being treated like a mannequin. Cara Delevingne has given a rare interview (with the Guardian) and hasn’t beaten around the bush when it comes to her thoughts on modelling. 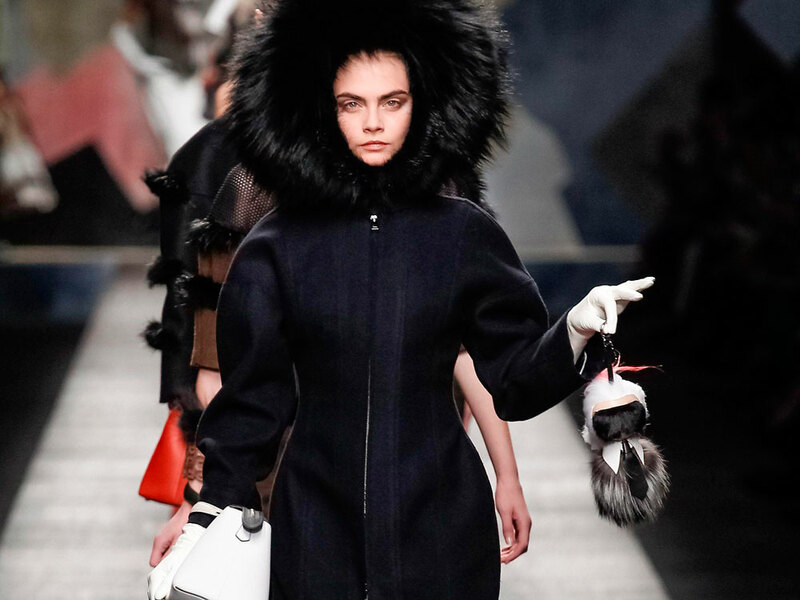 She may be the most famous model walking the runways right now – she walked 39 shows during last year’s spring/summer shows – but Cara is not a fan of the profession, basically saying that if you have a brain you should do something else. When asked if she would be happy for any potential daughters of her’s to take up modelling as a career, she was very clear, saying: ‘I’d say no, if that’s all she aspired to. You know, I get a lot of girls who say, I just want to be a model so badly. And I think: you can do better than that. I mean, look, I do love it, I’m not saying anything bad about it, I just think you can do a lot more. The star, who actually wants to be an actress and will make her TV acting debut in Playhouse Presents: Timeless this week, went on to explain exactly why she isn’t keen on the modelling world. ‘You’re looked through, you’re not looked at, you are treated as a kind of mannequin,’ she says. ‘I got a tattoo saying Made in England above my foot to represent that, that I felt like a doll for so long. Because you are just a kind of puppet, you know, entertainment.